- It is ideal for home jewelry decoration. - Perfect for personal use or business use. - 2 Insert slots for keeping watches organized, suit your needs perfectly. - The interior is lined with soft black felt fabric to protect your watches against harm. 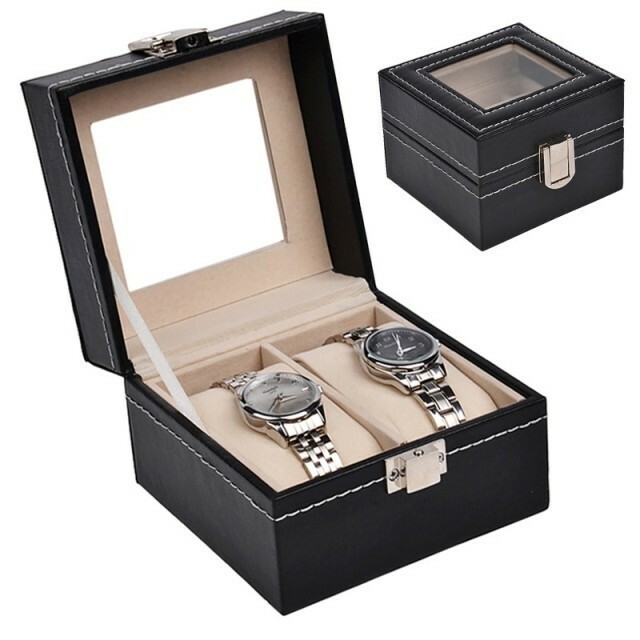 - Best for displaying your watches whatever in a shop or on your dressing table.